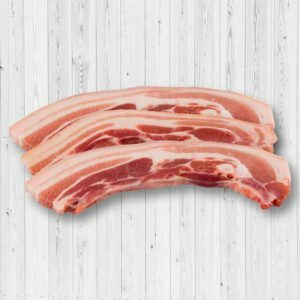 The pork belly is typically a long slice of meat that has plenty of scrumptious, decadent fat. The meat is taken from the underside of a pig’s belly. It’s used for making bacon or its Italian equivalent, the pancetta. There are many ways you can prepare a pork belly slice such as braising, frying, or grilling. Just season it with some salt and pepper and you’re already good to go.